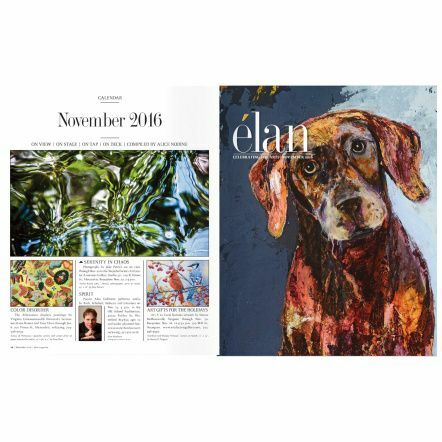 Elan Magazine featured my photo Yerba Buena in their Nonvember 2016 edition! The Torpedo Factory Art Center is celebrating its 40th Anniversary with this commemorative art book featuring artists! check out page 51 for my page. This limited-edition first printing is complete with a detailed history of the Torpedo Factory, colorful stories about the artists who contributed to making the Torpedo Factory Art Center a cornerstone of arts and education in our community, and stunning works of art by today's Members and Associates.